It’s that time again! 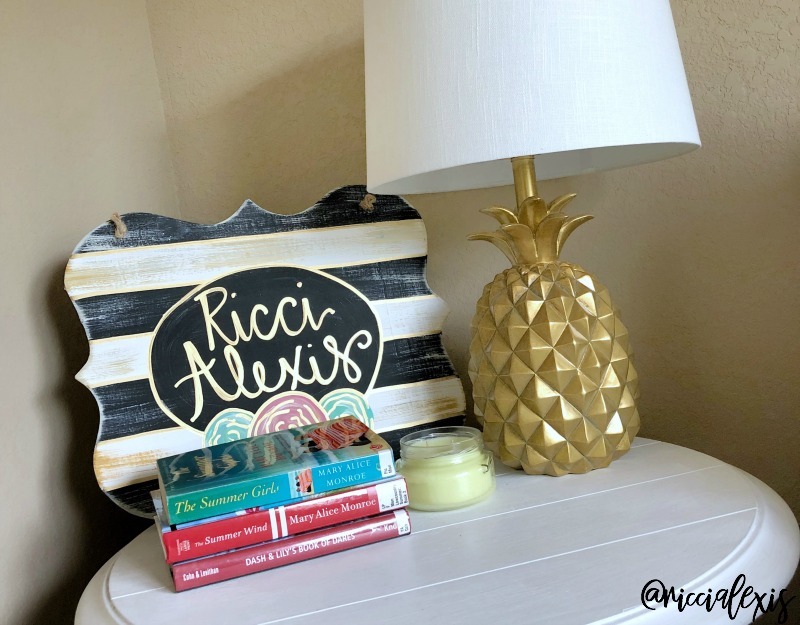 Time for my monthly book post, truth be told it’s one of my favorite posts to write. I love to read and I could talk about books all day long! If you are new around here one of my New Year’s Resolutions was to read 100 books this year. In 2017 my goal was to read 50 books and I read 88 so for 2018 I upped my goal!! So far this year I have read 28 books and when you add in this month’s 10 I am up to 38 for the year so far. I am going to CRUSH this reading goal. For those who wonder how in the world I read so much you should know that I listen to a lot of audiobooks. I listen to them when I’m getting ready for the day, when I’m driving and when I workout. I check them out through my local library, they have an amazing e-library and have tons of Kindle books and e-audiobooks that you can listen to via an app on your phone. You can even check out magazines!! So that’s how I read so much for those that always ask! LOL!! TWO. Dash & Lily’s Book of Dares by Rachel Cohn and David Leviathan. From the creators of Nick & Norah’s Infinite Playlist this is a great YA book that doesn’t include any supernatural creatures, dystopian future or murder! HA! Instead this book takes you on a treasure hunt around NYC at Christmastime and is just an overall feel good book. If you need a fresh perspective on teens and their love lives then you should def check this book out! FIVE. The Summer Wind by Mary Alice Monroe. 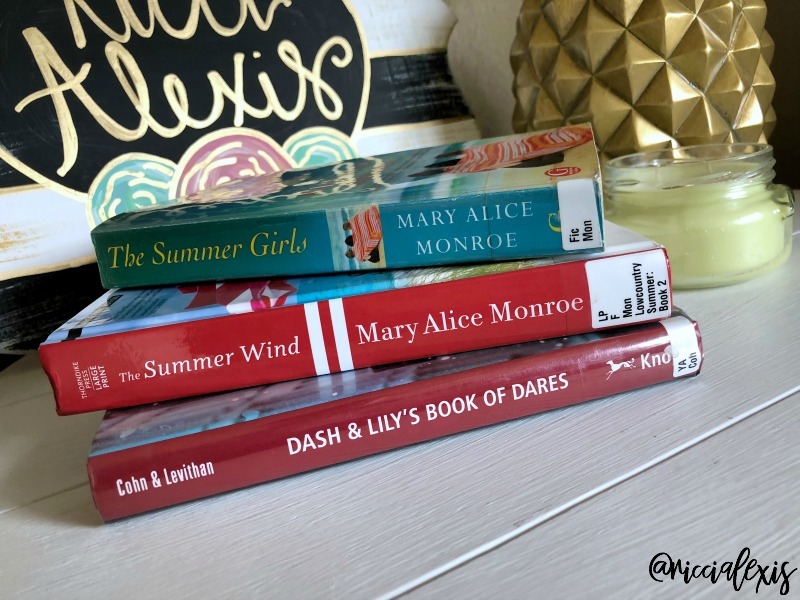 The second book in Mary Alice Monroe’s Lowcountry Series this one was a continuation of the first book and it just made me love these characters even more. I won’t get into detail because that would give away the first book but I loved it!! SIX. 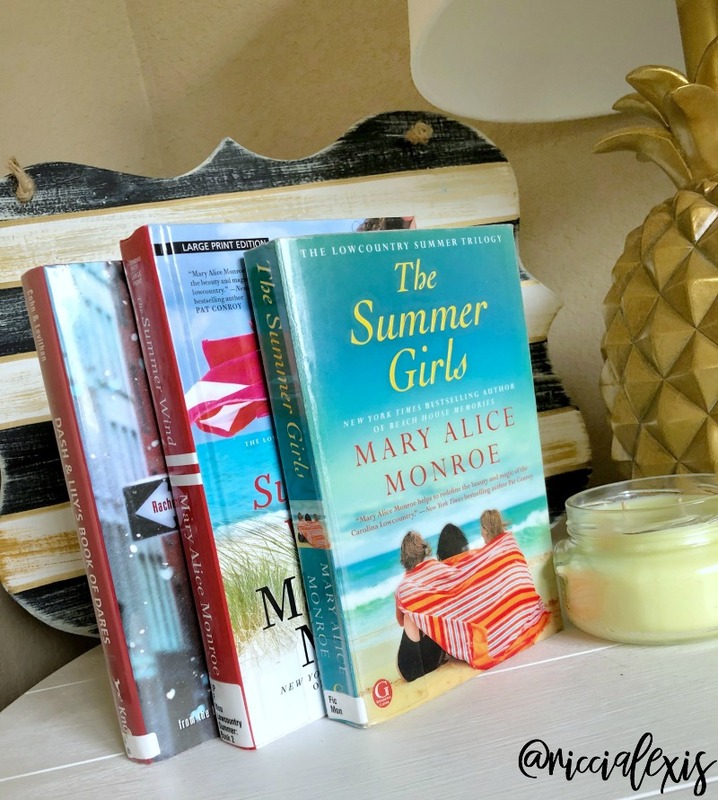 The Summer’s End by Mary Alice Monroe. This final book in the series I was soooo sad to see this series end. I get really invested in characters and story lines that I love and I can honestly say that I was legit sad when I finished this book. It ends with a twist and like I said previously I’m not saying what it’s about because that would give away too much from the fist two books. Read them if you love southern chick lit!! EIGHT. The Keeper by David Baldacci. The second book in the Vega Jane series, I can’t tell you much about it because that will give away the ending of the first book. Trust me, it’s GOOD!! NINE. Believe Me by JP Delaney. This book comes out June 2018 and I got it as an advanced reader copy in order to review it. If you are into psychological thrillers then you will LOVE this book. It’s about an actress who is hired by a lawyers office to be a decoy and that leads to a different line of work with the FBI. I can usually tell you how a book is going to end but I had no idea with this one!! TEN. Three Wishes by Liane Moriarty. From the writer that brought us the book (and hit HBO show) Big Little Lies comes another book based in Australia about a complicated family who you will grow to love. I love that Liane Moriarty shows the realness of family and how complicated relationships are!! This book is no exception and deals with the relationship between triplets, between each other and their families. It was a really good book, as are all of her books! 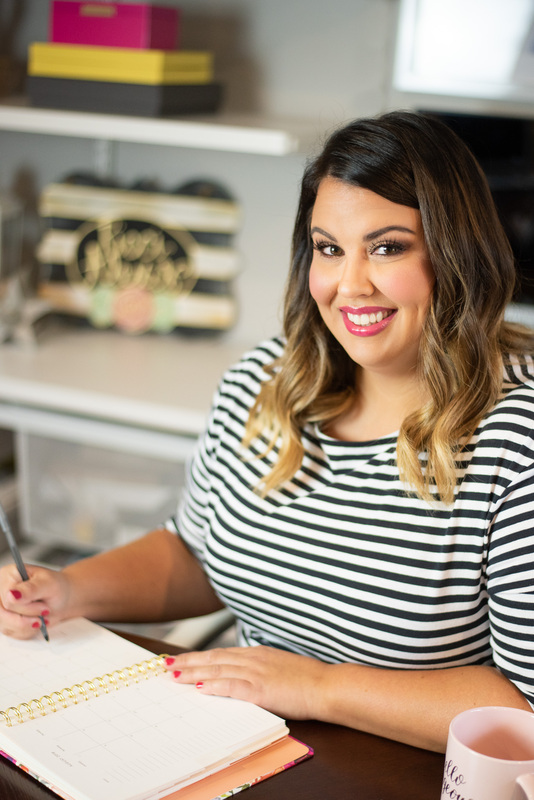 If you want to catch up on my previous month’s book posts here are January, February and March! The Mary Alice Monroe books look really interesting to read. Haven’t read anything by this author before. Need to get to the library. These all sound like awesome books! I cannot wait to read that new Emily Giffin one. I’ve enjoyed all her other books. All look like great summer reads! I appreciate the reviews to make it easier to choose one for myself. I can’t wait to get to the beach! These are all books I think I would like and it is always nice to make time to read. 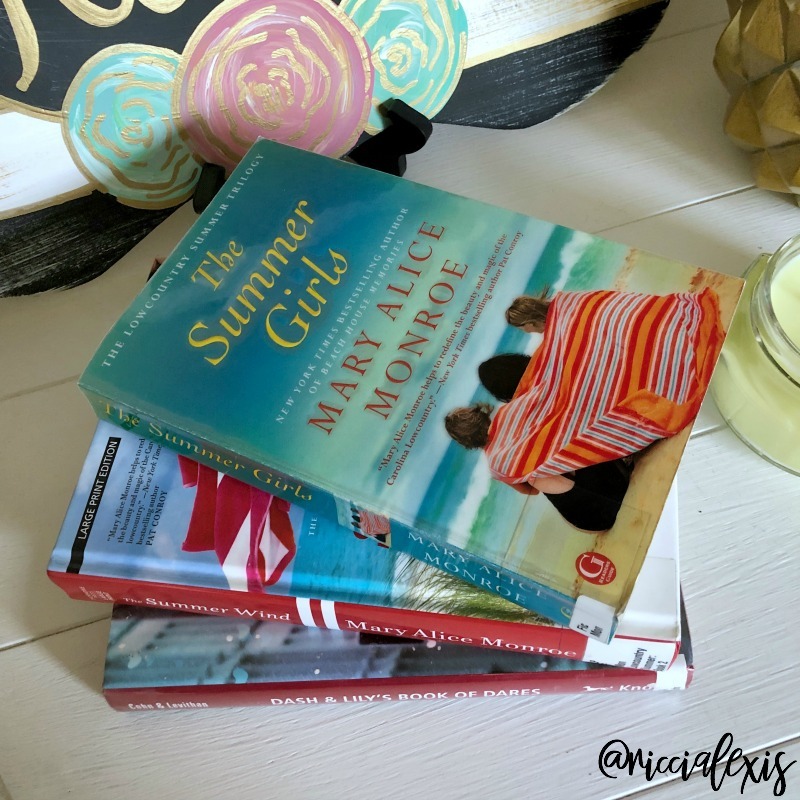 I would love to read some of the Summer series it is so timely for seasonal reading. I have a pile of “summer reading” books. I love to bring a book to the beach, the pool and when we camp. I finished a book last month yay! Your books sounds very intriguing, O would love to read it. These all look like wonderful reads. I love that your goal is to read 100 books this year. That’s really amazing and very inspiring. 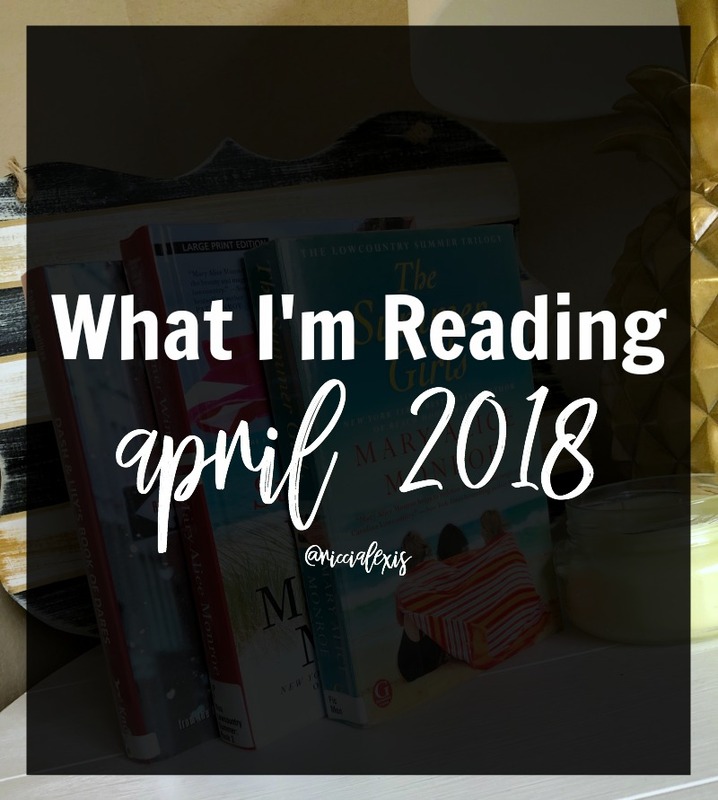 It sounds like you have been reading some great books this April! I’ve been listening to Carve the Mark – as I find it hard to read books now! Slowly getting into the audio book idea. Everything sounds awesome! I’ve taken note of the books that I’m interested in! I’m always looking forward to recommendations. I have two books on my nightstand and one is about love languages, the other is about decluttering your mind. I need to be reading them before bed. I Love a good book, I plan to make more time to read! These all look like great summer, beach reads. I’m going to pick up The Summer Girls for sure! Enjoy them. I think I might have to start listening to audiobooks. I could actually kill two birds with one stone by listening to them while I ride my bike and exercise. I heard really great things about Summer Girls. That’s one book I’d love to add to my list (and in fact, I think I will now). Believe Me sounds to be up my alley! I had set a goal to do more reading this year and so far so good! I will check that one out! Thank you for the recommendations! Whenever we travel or when I’m on vacation, I make sure to read as much as I can. I’ve never heard of these books but thank you so much for listing them down. I’m interested in some of them! I haven’t read any of these, but they all sound great! I need to update my summer reading wishlist so I can get reading by the pool. I also make it a point to read books and right now I am re-reading my past books. Glad to be able to reminisce such. I will take note of these books too so I can try to check once I want to read new ones.